Under new ownership and recently refurbished, I think we're paying for that though as my Wadworths Horizon was £4.40, a bit steep even if getting into the tourist season. Opening hours appear to have been extended as I was able to get a pint just before the last train (22.29) on a previous visit I was served with bad grace. Good pub which has plenty going on. 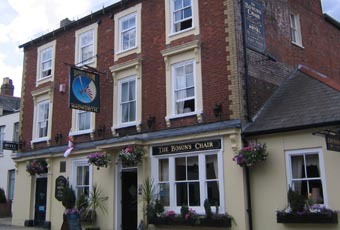 A hotel, sky sports, decent Wadworth ales, friendly staff and a town centre location. A decent boozer. Doesn't open Bank Holiday lunchtimes.